On January 25, 2018 February 15, 2018 By felicitousfelixIn Are There Lesbians? 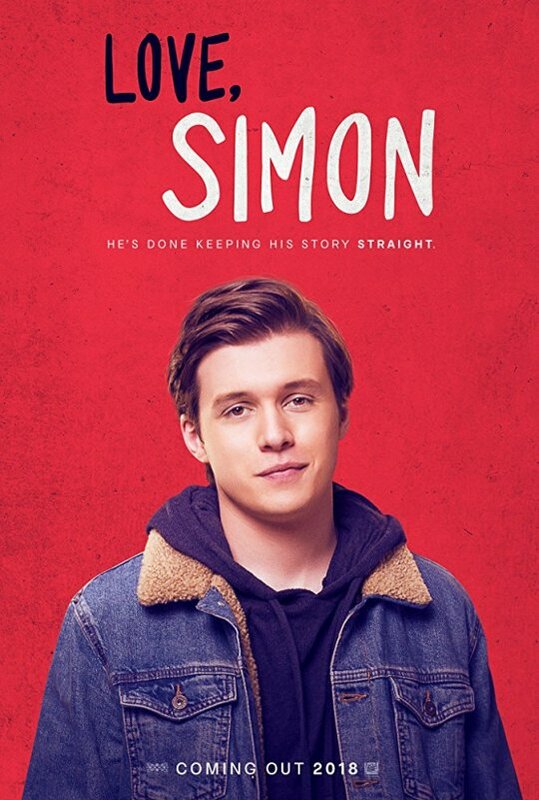 Simon Spier has a problem: no-one knows he’s gay. He’s also in love with a boy he’s never met, and when their emails fall into the wrong hands life starts to get a lot more complicated. I was lucky enough to see Love, Simon early, at the Penguin Teen Showcase, so I’ll talk a little about that first, before delving into the movie review. I’m going to spoil Simon Vs The Homo Sapiens Agenda, but not the movie (except for one thing but it’s a minor issue for most people I promise). I love book showcases. They’re a regular part of my job, and I always love finding out what books are coming out in a given year or season. It’s also hard to say no when there are free goodies. That being said, they can often get tedious when you’re not given a lot of information about the books because of a time limit and unfortunately this was the case on Tuesday. Particularly, I had been hoping that there might be brief question and answer sessions with the two interviewed authors, but I was disappointed. Additionally, while I respect that this was a specifically YA showcase, and there are more YA books than there are Queer YA books, it would have been nice for there to be more of an emphasis on queer representation in YA, especially given the movie we had all come to see. I don’t ask for much, just for those books with queer characters to be expressly mentioned as such. As it was, for the most part, it was all guesswork. The Love, Simon review is under the cut. The movie is out in cinemas on March 16. Oh. My. God. Love, Simon is quite possibly the best book-to-film adaptation I have ever seen. My single fault with it was that Cal doesn’t mention either being bi or having a crush on Simon. In a book filled with fantastic queer representation, it was sad to see some of that missed out on. However, on the flip side, Ethan (aka “the other gay kid”) had a slightly more fleshed out role and it was nice to see him and Simon bond when they are called to the Principals office. There’s not really much else I can say about this movie that isn’t just incoherent screaming. It is perfect. It is laugh-out-loud hilarious and funny and awkward. The casting and acting is impeccable. As the GF said “I keep expecting Martin to say ‘where’s my hug?’” I also like the character of Leah much more in the movie than in the book. When I was reading Simon Vs, I got pretty annoyed at her as she is the kind of character that crops up in everything, and it’s a bit tedious. She is much more likeable in the film, and I really hope that Leah on the Offbeat will portray a similar character. In short, Love, Simon is the mainstream gay romantic comedy young queers need and deserve. It is the best highschool teen comedy since Mean Girls, and infinitely more inclusive. We really have come a long way. Now give us one with lesbians. also div align isnt working for me rnBecky Albertallibook spoilerscool cool cool cool cooli meant to have this up last night the day after id seen itlets pretend i did it on purposelove simonmild movie spoilersmovieoh wellpenguin teen showcasereviewsimon vs the homo sapiens agendathis way melbourne peeps will have been as wellwhere be lesbians?